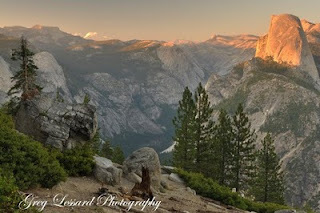 On our first day in Yosemite, Brenda and I went to Glacier Point for sunset. Needless to say it was breathtaking! We watched in amazement as the alpen glow worked its way up the face of half dome, eventually disappearing for the evening. From this perspective it is easy to see why Yosemite inspired John Muir and countless others. This beautiful region could be no less than the catalyst for our national park system and the modern day environmentalist movement. Imagine what it would look like today if this valley had not been preserved for future generations. 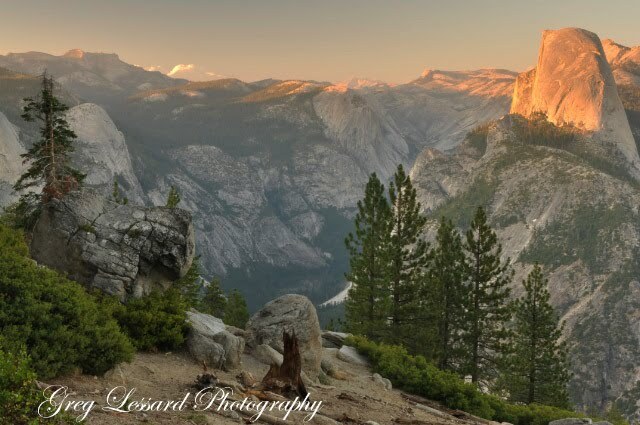 Would there be a five star hotel on top of half dome? Maybe. At one point, there was a hotel at Glacier Point. Natural wonders of this magnitude should not be in the sole posession of one man or corporation. It should be preserved for all people of all generations.